Fidelity International has an impressive in-house research offering as well as noteworthy educational articles; however, trading individual stocks is not currently supported. Fidelity International was established in 1969 as the international arm of Fidelity Investments. Fidelity International became independent of the US organization in 1980, and today is privately owned by management and members of the original founding family. Fidelity International’s private ownership enables it to take a long-term investment view and not be pressured to achieve short-term quarterly results. Fidelity International manages over £205 billion for investors around the world. In the UK the company administers £64.3 billion for over 1.1 million investors. Fidelity International has over 400 investment professionals working across 16 countries. Fidelity International has a slightly different commission and fee structure than most of its competitors. On account holdings of less than £7,500 there is a flat fee of £45 per annum. 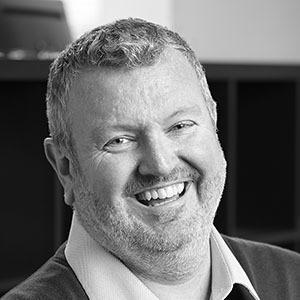 If the account is between £7500 and £250,000, the fee is 0.35% on all assets, and for account holdings between £250,000 and £1 million, the overall fee is 0.20% on all assets. 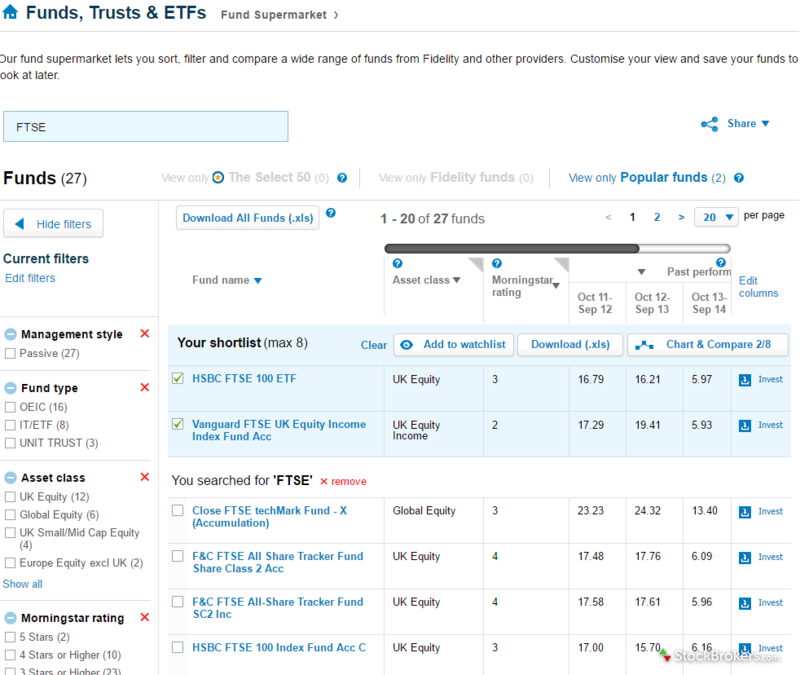 The service fee for ETFs and Investment Trusts is capped at £45 per annum. Overall, these account holding charges are above average for the industry in the UK. Although Fidelity International doesn’t currently provide a service to invest in individual stocks and shares, the company is due to add this service in 2017. Although Fidelity International doesn’t currently provide a service to invest in individual stocks and shares, the company is due to add this service in 2017. We will monitor the company’s progress in this regard and update where necessary. Fidelity International’s research offering is far above the industry standard, and the company’s in-house research is among the best in the UK. The research department provides a wealth of information, which would appeal to beginners, intermediate investors and even more seasoned clients. The research department provides a wealth of information, which would appeal to beginners, intermediate investors and even more seasoned clients. At the basic level, the in-house research team provides a daily market review, daily investment insights and regular investment ideas. Separate research sections provide fund ideas, investment trust insights, the latest news and analysis and a newspaper roundup and portfolio ideas. Fidelity also provides an abundance of video content in its investment video hub, with interviews with equity, bond, and commodity fund managers. The video content also includes regional analysis and investment trust news. 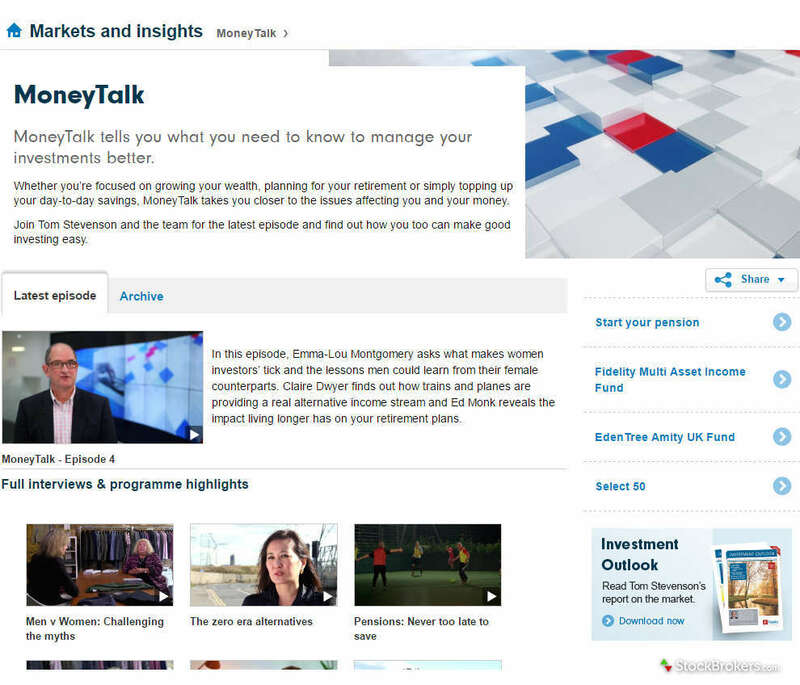 Finally, there is also a MoneyTalk section, with videos offering broader, more generic investment research and advice. Overall, we found that the Fidelity International research team produced a wealth of in-house research content, very much tailored to the UK market, but also appealing to global investors. This high-quality research offering deals with a broad range of subjects, targets the full spectrum of client experience, and is delivered mostly as written analysis with strong video content. If you are looking for an online broker with a strong research area, then Fidelity International is a natural choice. 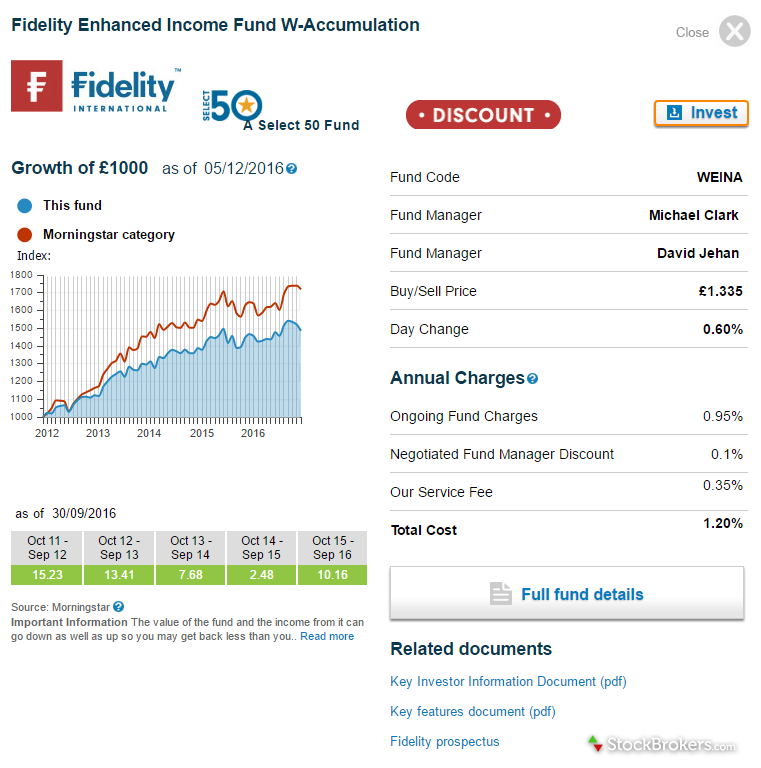 Within the Fidelity International platform, the main port of call is the Fund Supermarket. This is effectively a screener whereby the investor can find a variety of filters, including management style (active/passive), fund type (unit trusts, investment trusts, ETFs), asset class (global equity, UK equity, mixed assets, etc.) and Morningstar rating (by number of stars) by fund manager and fund charges. The Fund Supermarket tool is extremely intuitive and user-friendly and offers the opportunity to sort results by class, rating, and past performance. From here, clients can compare funds on a chart and add favorites to a watchlist. Once a fund has been selected, one click then takes the user to a summary page, which displays the chart with relative performance to the relevant Morningstar category, along with a Morningstar rating. Key fund metrics, including annual charges, can be viewed and additional investor information can be downloaded. On the negative side, the charting section of the platform is extremely basic. Each chart shows fund growth over time with a simple comparison tool. There are no technical analysis tools available. 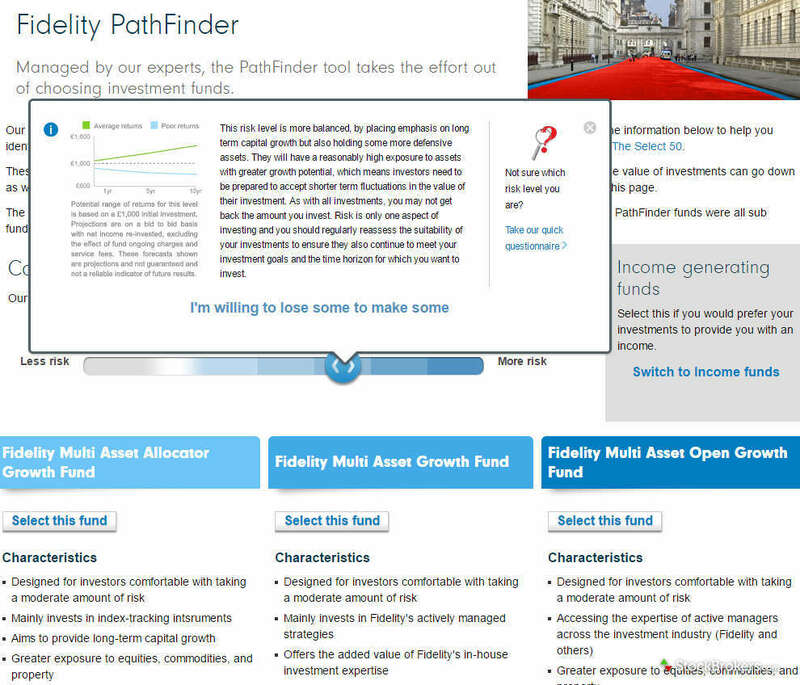 The Fidelity Pathfinder tool allows investors to make portfolio allocation choices based on a simple risk “slider”. The client can adjust the level of risk with the “slider”, then the tool offers various fund options associated with this risk level. Information is then offered relating to the characteristics of the fund, charges, past performance, asset mix, and how the fund is managed. Finally, it is possible to download PDFs of key investor information and features. If you are looking for “robo” type advice, this is a tool that will easily complement investment decisions. Fidelity International also provides a Select 50, which is a list of Fidelity International experts’ ‘highest conviction’ picks. Although the charting aspect of the platform is effectively non-existent, the various tools to help select funds and the clean data provided put Fidelity International on par with competing brokers. Fidelity International currently provides two mobile trading applications: Fidelity and Investment Ideas by Fidelity. These are both available for iPhone and iPad (each with dedicated versions). That said, no support is currently offered for Android devices. In the Fidelity App, it is possible to create a watch list, set price alerts, and view the latest news, together with research content from Fidelity International. Although the functionality is fairly basic and does not include any means of placing a trade, I found the news/research sections to be better than the industry standard. Investment Ideas by Fidelity is another app available for iPhone and iPad, and gives mobile access to downloadable magazines. Fidelity International offers an industry-standard amount of educational content. Beginners can access a variety of articles on investing in the markets as well as a glossary of commonly used terms. 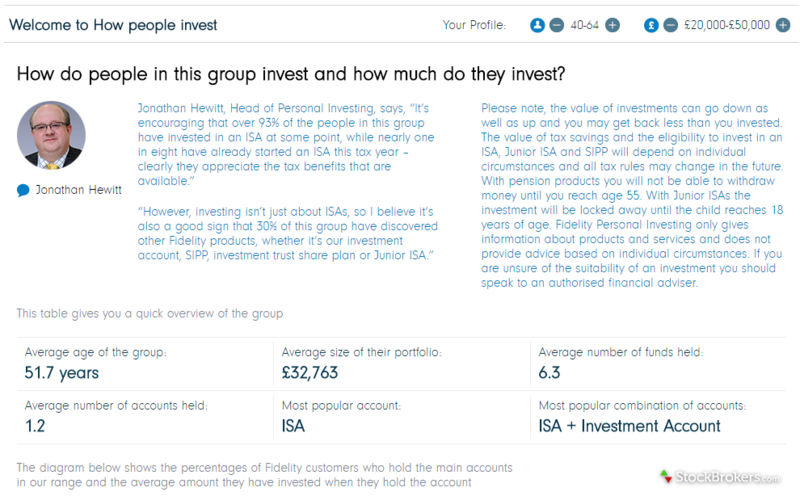 There is also a useful interactive tool entitled “How people invest”, which displays typical investing profiles by age and portfolio size. 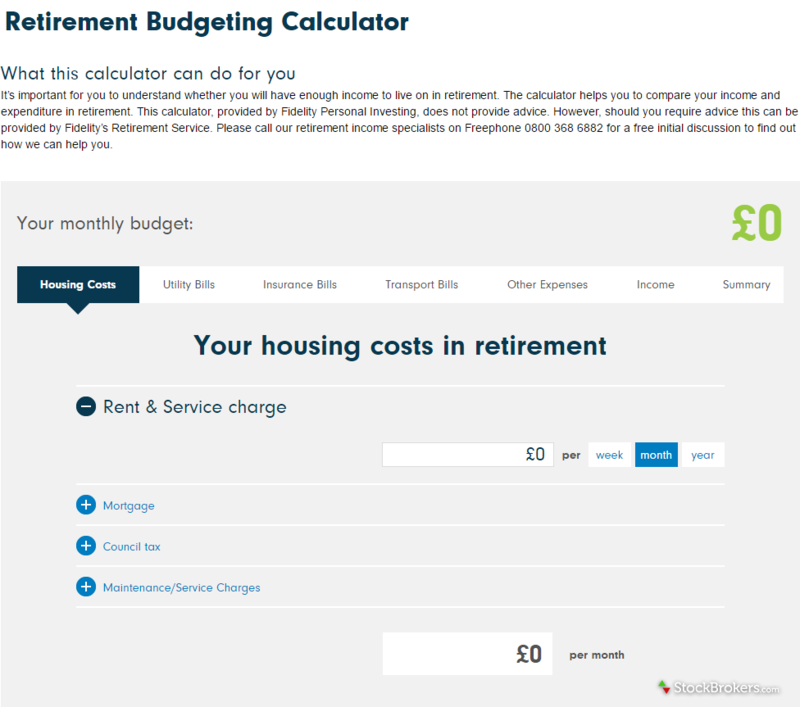 With respect to retirement and pensions, educational content includes calculators and numerous articles, together with a retirement health-check tool. There is also a downloadable guide to retirement income, and clients can pay to meet with a retirement advisor directly. In relation to Individual Savings Accounts (ISAs), educational tools include ISA and Junior ISA calculators, together with a guide to managing ISAs and combining and transferring ISAs. In summary, the educational content provided by Fidelity International is around the industry standard, with content beneficial to beginners as well as seasoned investors. As stated above, it is not possible to invest in individual shares on the Fidelity International platform. However, Fidelity International is due to add this facility in 2017, and we will monitor it and update accordingly. Fidelity International provides a very strong research area and an impressive educational section. For conducting research, the fund supermarket screener and Fidelity Pathfinder tool are excellent. With education, new and seasoned investors will appreciate the depth of articles and tools available to help them learn about the market. This above-average service provision comes at a slightly higher price, with the cost structure above the industry average. Highlights aside, to compete fully in the UK online share marketplace, Fidelity International must add the ability to trade individual shares. Select one or more of these brokers to compare against Fidelity International. Shares: Share-dealing is not currently offered. Dealing Account Annual Fee - The total value of all investments with Fidelity Personal Investing is used to calculate the rate that will apply. ISA Account Annual Fee - The total value of all investments with Fidelity Personal Investing is used to calculate the rate that will apply. SIPP Account Annual Fees - The total value of all investments with Fidelity Personal Investing is used to calculate the rate that will apply. No extra telephone trading fees for funds, investment trusts or ETFs. Find out how Fidelity International stacks up against other brokers.